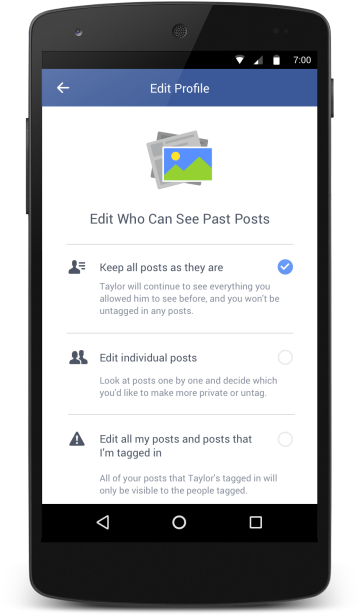 Next time you break up with someone, you may never have to see them in your Facebook feed again. 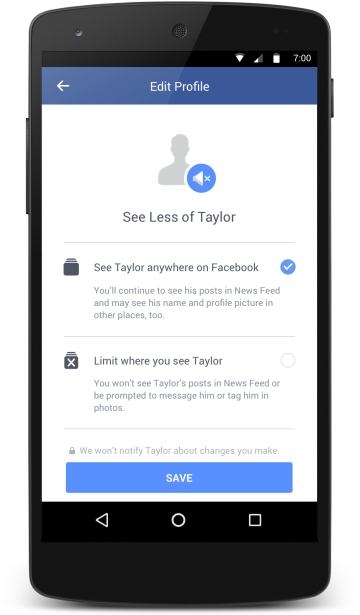 When you change your relationship status, Facebook will trigger optional tools that can help you avoid seeing an ex. Any choice you make about blocking an ex from your timeline will be private, too. 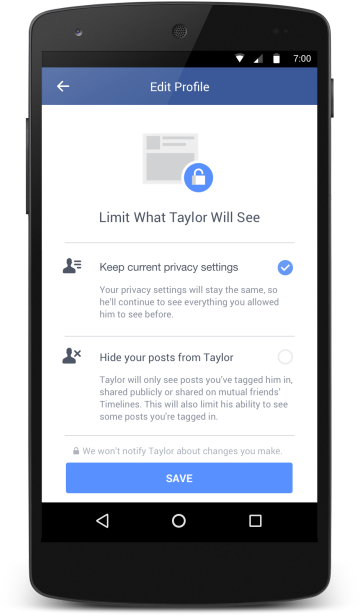 In addition to hiding their face from your eyes, you can also choose to limit yourself from their timeline. You can also choose to make tagged photos private to just those people tagged in them, if you like. These tools are rolling out today in the US on mobile. 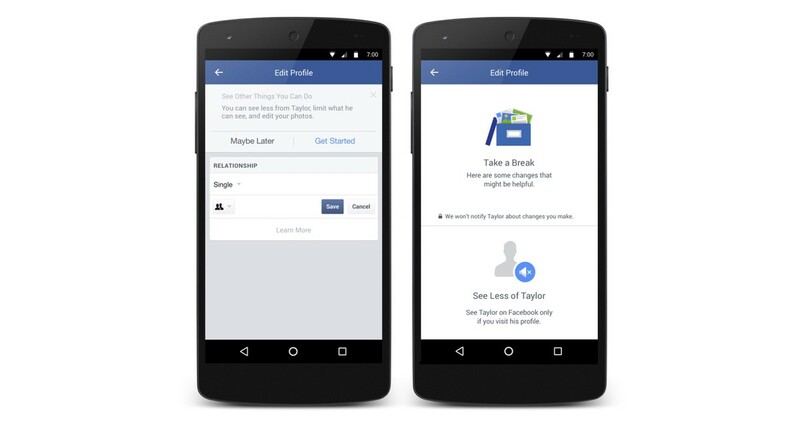 Facebook says it plans for a wider release, but will wait for feedback before letting more use them. It may seem a bit silly, but just plain seeing less of an ex is probably healthy, and much better than dealing with the shade you’d get from unfriending or blocking them.